Hjalmar Johansen was one of Norway's most famous gymnasts when he left on the Fram with Nansen in 1893. He had been Nansen's only companion in 1895, when they set out on foot from the Fram that was stuck (intentionally) in the Arctic sea ice attempting to reach the North Pole, they didn't manage the Pole but did record the farthest north record at that time. The two over wintered on Franz Joseph Land in a hut made from stone and walrus skin. On his return to Norway, Johansen was promoted to captain in the infantry, a role that seemed to be beyond him causing him to drink heavily and eventually leave the army. He overcame his drinking during a stay in Spitzbergen from 1907-09. Nansen requested that Amundsen took him on the South Pole expedition, a decision about which Amundsen had some reservations due to Johansen being prone to alcoholism. 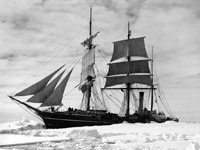 At the time of the South Polar expedition, Johansen was an almost legendary figure. He was physically very strong, could drive a dog team, was an accomplished skier and knew how to survive in the ice. Johansen was originally one of a party of eight chosen to set out for the South Pole from the winter quarters known as Framheim around the ship Fram. They set off initially on the 8th of September 1911 but were driven back in disarray by the intense cold so early in the season. Johansen had argued with Amundsen over the timing of the attempt on the pole before they set out, saying that it was too early. Their ignominious return and the fact that Johansen had to rescue the inexperienced Prestrud from the possibly fatal effects of the cold meant that relations deteriorated further between the two men, they argued publically and Amundsen removed Johansen from the polar party publically, when they set out again towards the end of October, there were five rather than the previous eight. 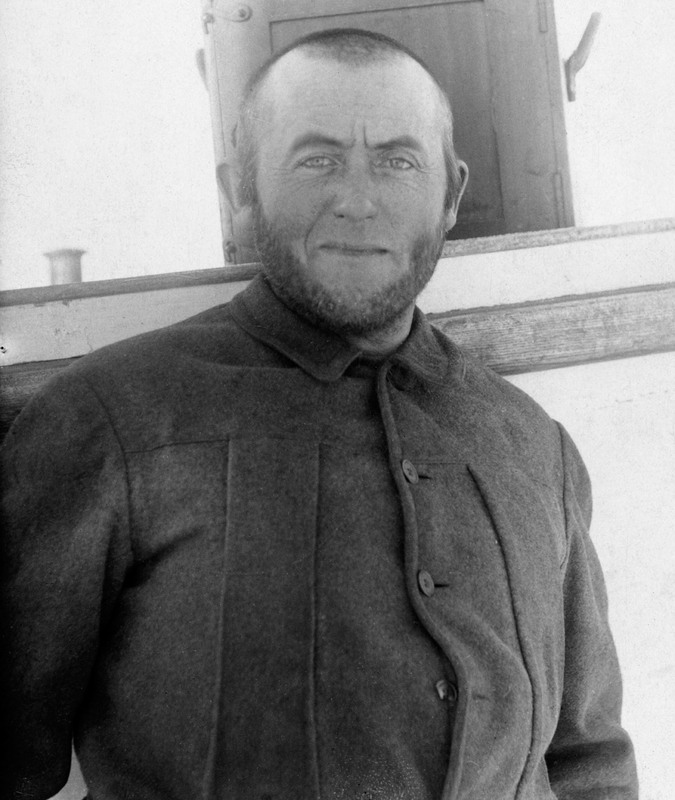 Johansen was made subordinate to Prestrud, Amundsen ordered the two men to undertake a minor exploratory expedition towards King Edward VII Land during the attempt on the pole. Johansen was dismissed and paid off once the Fram reached Hobart being left to return to Norway separately. Amundsen made the rest of the crew sign what we would now call a "gagging clause" to keep quiet about the whole expedition and not publicize their own experiences, only Amundsen would write about it. 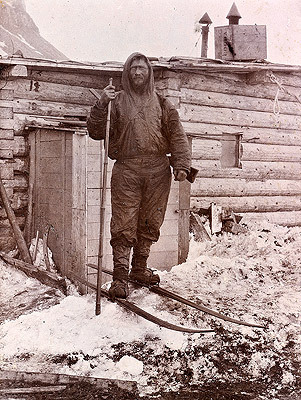 On arrival back in Norway Johansen found that he would not be recognised by Amundsen for his contributions to the expedition, including the rescue of Prestrud after he was left behind by Amundsen. Johansen was awarded the South Pole Medal (Sydpolsmedaljen) however, by King Haakon VII in 1912 to the expedition members. Tragically the emotional blows of these events contributed to Johansen drinking again and taking his own life in 1913, six months after returning to Oslo, leaving a wife and four children. Description: A prominent peak, 3,310 m, standing 3 mi ESE of Mount Grier in the La Gorce Mountains of the Queen Maud Mountains. Discovered by R. Admiral Byrd on the South Pole Flight of Nov. 28-29, 1929, and mapped in December 1934 by the ByrdAE geological party under Quin Blackburn. 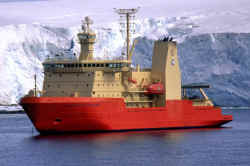 So named in an attempt to reconcile Byrd's discoveries with the names applied by Roald Amundsen in 1911. Amundsen had named a peak in the general vicinity for Hjalmar Johansen.